This one bedroom suite features vinyl floors with an eat in kitchen area. The living room and bedroom have plush carpet. The big windows make this unit feel very bright and spacious. Surounded by dozens of mature trees and beautifully landscaped grounds. Beckworth Apartments' park-like setting is only one of many features that make this a terrific place to call home. 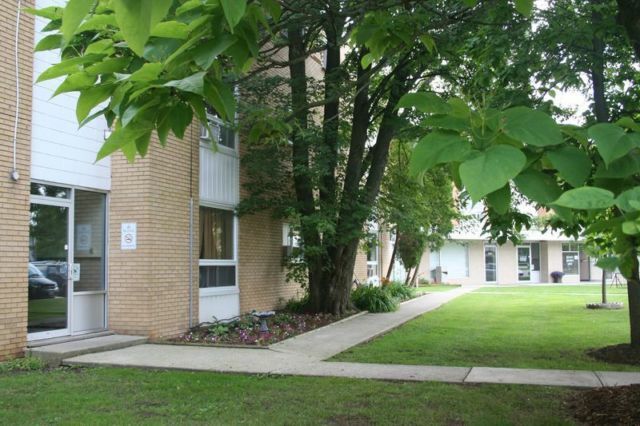 Located in a quiet residential community, these apartments are close to Fanshawe College, neighbourhood schools, parks and lots of other amenities including grocery stores, restaurants and more. With parking included, a convenience store on-site as well as laundry and ample resident and visitor parking available, this is a property you really should put on your "must see" list.